BANGKOK: A transgender woman who threw a Chihuahua from her fifth-floor apartment in Bangkok has been sentenced to two months in jail without suspension, with the court saying it wanted to set a strong precedent for animal abuse. The Bangkok North Municipal Court initially jailed 23-year-old Yonlada Jampasri to four months after she pled guilty to flinging 4-year-old “Deli” off her Wang Thonglang district balcony in a fit of rage after the pooch pooped inside the premises. The defendant was charged of causing malicious damage and animal cruelty in violation of the Prevention of Animal Cruelty and Provision of Animals Welfare Act. The sentence was commuted to two months due to Yonlada’s confession. The jail term was not suspended, however, as the court wanted the case to be an example to animal abusers. 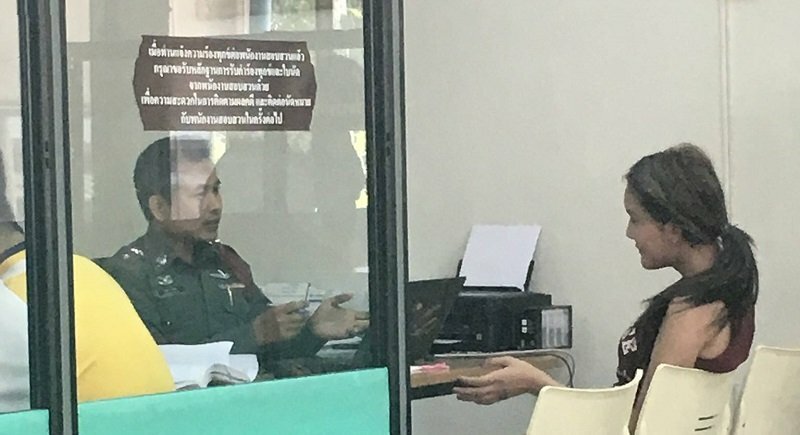 After the verdict, Corrections Department officials immediately took her to the jail at the Bangkok North Municipal Court, Thai media reported. Yonlada admitted to the tossing room mate Meyanee Sitthisuk’s Chihuahua onto a nearby roof when she surrendered to Wang Thonglang police yesterday (Jan 27) following a complaint by the 23-year-old owner. Ms Meyanee told police she and her four-year-old dog “Deli” had been staying with Ms Yonlada at the Soi Lat Phrao 122 unit for about 10 days before the incident took place. However, Yonlada had told her houseguest she didn’t like pets and lost patience with the dog when it soiled the floor. Although Yonlada was given the maximum penalty under the law, Ms Meyanee complained on her Facebook page today (Jan 28) about the “light” sentence given to her.